FROM THE AUTHOR OF NEW YORK TIMES BESTSELLING TORADORA! COMES AN ALL NEW ROM-COM MANGA SERIES! College freshman Tada Banri is looking forward to a new life and a clean slate—which shouldn’t be too hard for a guy who fell off a bridge and lost his memories of the past eighteen years. Upon enrolling in an elite Tokyo law school, this new direction in Banri’s life stops short when he happens across a person from his past during the school’s opening ceremony. 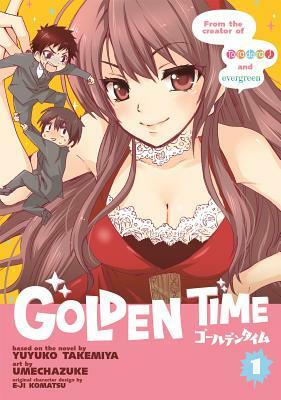 Umechazuke is a Japanese manga artist best known as the artist of Golden Time.